Ethereum has been the number 2 in the crypto markets for the last year and couple of months. It currently sits at $680 a drop of 2.52% in the last 24 hours. ETH is actually holding its value fairly well, compared to the market. For whatever unknowable reason the market is dumping again, but just comparing ETH with, for example, BTC and BCH, ETH has dropped about 5% in the past 7 days, but BTC is at 10% and BCH almost 20%. You have to put it in context. Compared to most other coins, ETH is holding pretty steady, even though the market has shed $100 billion since the latest peak. However, buying ETH at these levels might be a good idea. Although Ethereum has scaling issues and the network is clogged up more often then not, it still is by far the leading platform for smart contracts, dapps and new ICO launches. The level of innovation and adoption of Ethereum’s blockchain is couple of steps ahead of its price. So the price will eventually catch up, it just needs a couple of catalysts to ignite the surge and $1k+ area is definitely doable for ETH. 1) The Casper FFG / Hybrid PoW-PoS upgrade. Last run ETH had was in January, it went on a nearly 2x above and beyond the already 2x Thanksgiving pump? It was right about the time as Casper hit the test net. The Casper FFG upgrade on the mainnet is planned for late summer and it will be a huge price booster if it succeeds to work on a large scale. Casper FFG will also increase the overall decentralization of ETH network while introducing staking – ETH will become an income-generating asset (5% per year + base asset appreciation, possibly sparking institutional buying interest). Staking will probably also bump liquidity, driven by those looking to accumulate up to 1500 ETH to be among the first stakers. Pay attention on projects like Loom which hold great promise for providing side chains as a service. Plasma, and more specifically Plasma Cash, is a great addition to the DPoS sidechains being built at Loom Network. Loom is convinced of Plasma’s utility, feasibility, and desirability and they want Loom to be the go-to platform for companies that need turn-key, automated Plasma security for their public and private chains. 3) Dapps moving from testnets to the main blockchain. Augur going live. Streamr data market place online. KNC and REQ on mainnet. DAI / MKR getting more battle-tested by the day. More and more projects are exiting their betas and launching live products on the mainnet which will further legitimize the ethereum network. 4) Tokenization of virtual and real world assets on ETH. There are $256 trillion of real-world assets. Most of these assets are still represented by paper and are highly illiquid. However, with the advent of blockchain, ownership will continue to move from analogue to digital and (I predict) we will witness the release of trillions of illiquid assets into liquid marketplaces. CryptoKitties started it with digital cats. Digix is doing this for gold. Dai has done it for collateralized debt positions locked into smart contracts. TrueUSD is doing it for real USD backed backed by bank deposits. Many others are doing it for small-scale fundraising for real estate / property investments. I expect to see more and more virtual and real world property tokenized onto Ethereum. 5) More favored by banks and financial institutions. ETH will benefit greatly from additional waves of institutional buying across crypto writ large. This one is probably the most important. We all know the fears ETH community and crypto in general has of SEC and their definition of securities and if ETH will fit that definition. A lot of voice on both sides of the issue have been loud in pushing one or the other stance, however, the final verdict will be made by the actual regulator. Even if ETH ends up being classified as security in the US, the drama around it will finally be over and we will be able to move on with the new reality. Of course, in case ETH is declared as utility token, that would surely reflect a rocket in prices of ETH since most the crypto community has shown to be most reactive to these types of news. Longer term perspective of Ethereum is also healthy, with planned affordable privacy features (zk-SNARKS / STARKS; needed for enterprise adoption), Sharding (from initial to full implementation), full-PoS (Casper CBC), and truly mainstream “killer dapp” usage could be big drivers for future ETH price gains. There are a lot of new players in the market gunning for Ethereum, but king of dapps won’t surrender without a fight. And it obviously has a strong arsenal of weapons to fend off the competitors. Ethereum is evolving and here to stay for a long time. If you’re an investor, be smart and keep playing the long game. this is just an opinion and not investment advice. Cryptocurrencies are risky investment asset class and should be traded with utmost caution. 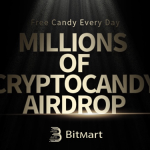 Claim Millions of Free Tokens on BitMart Exchange Today! 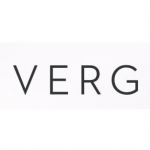 After another hack, Verge losing support in its community, the end is near?